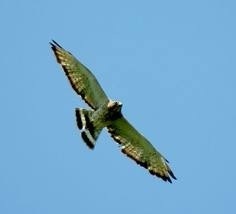 I saw the hawk fly away from me for the second time this week. The first time, I was close enough and and he soared low enough for me to appreciate his size. If we stood next to each other, this animal would practically come up to my waist. I should say bird, not animal, but when I get close to the hawk I never think bird; I think large animal. For me, birds are trivial. They're background noise or a splash of color. The hawk is something substantial. Purposeful, intelligent, indestructible. This morning, I only managed a glimpse before the hawk disappeared from my view over the lake across the way. I wanted to yell, Come back, but I didn't. I knew he wasn't interested in doing my bidding. Usually he's flying over my head or he may stop and perch on a weathervane or street sign and take a good long look at me. But this week, I've only seen him fly off and disappear from my sight. The boy I tutor in the Juvenile Detention Center got to go home this week. I wonder about him and hope he will find a path to learn to read. When I think about him, it feels much like watching the hawk fly away, hoping it would turn back and give me a clear sign about something. But the hawk doesn't roll like that. He flies low, he soars high, and I'm left to wonder what he's trying to tell me.